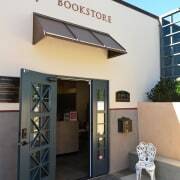 The San Juan Capistrano Friends of the Library Bookstore is one of the nicest in the county. It is completely run by volunteers and provides funding for our libraries programs and needs. Volunteers are needed for four hour shifts to staff the bookstore and collect book sales. Must be 18 years old or older. Four hour shifts. Schedule flexible. Able to read and effectively communicate and interact with customers. Ability to learn how to use a cash register and count money.